EPO is a bioengineered recombinant DNA hormone that is a nearly exact duplicate of the human hormone erythropoietin. Quite simply, EPO is the natural chemical messenger that tells your body and bone marrow to make red corpuscles — "Give me more blood." The human DNA code for the production of EPO in human bodies is was identified and then combined with bacterial DNA (recombinant) so that the bacteria produce a copy of the human hormone. So when you are taking EPO you are getting an almost identical hormone to the EPO that your own body produces. You have to take EPO by injection. Taken by mouth it will be digested and not absorbed in an active form. In the human body it is made in the seemingly unlikely location of the kidney. This, however, does make sense when you understand that the kidney is basically in charge of the blood. What is EPO's role in modern medicine? It is used in conditions that are characterized by anemia. Kidney-failure patients and patients on dialysis have kidneys that no longer work well enough to do their job of hormone production. They become anemic and benefit from erythropoietin injections. Other patients who have gone through cancer treatments or just have failing bone marrows can also benefit. It has been a useful pharmaceutical. How much does EPO cost? The average wholesale price for the two brands sold in the U.S. is $120 for 10,000 units. A two-week high-dose course that produces a large jump in the hematocrit lasting for up to 3-4 weeks could cost $500. But there are benefits at lower dosages and lower costs. EPO probably costs a lot less to produce than its wholesale price. This is due in large part to recouping huge development and FDA certification costs, but also due to charging what the market will bear. This is one factor that accounts for the price differences of medications purchased in Mexico that are identical to their U.S. counterparts. I have not researched the price of EPO in Mexico, but it is probable that it is available much more cheaply than here. How do EPO use and blood loading differ? 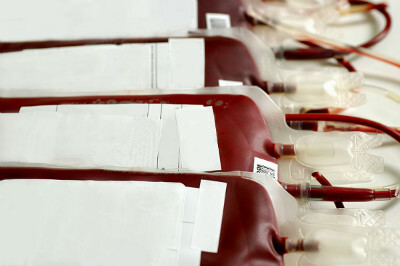 Blood loading involves giving you extra blood by transfusion. It is almost always your own blood that was drawn and frozen at least 3-4 weeks earlier. Your body then has the opportunity to make more blood to bring itself back to its normal blood count and volume. When the frozen blood (usually two units) is transfused, it gives you a temporarily elevated blood count and volume. It is also possible to receive a transfusion of someone else's matched blood type. This would work as well, but carries greater risk. What does it do for normal healthy athletes? Does it help performance in any specific areas? This is the more complicated part, but knowing how EPO works can benefit your training even if you don't ever use it. First, you have to know two things about how an athlete's blood differs from that of a more sedentary person. Athletes have more blood than the average couch potato, but they are also more anemic. How can this be? When you exercise regularly, you sweat and you often become at least temporarily dehydrated. This tells your body to make more of the stuff that keeps your blood liquid-plasma proteins and plasma. Your body will also be stimulated by exercise to make more red blood cells, but the liquid plasma part will increase even faster than red blood cells. 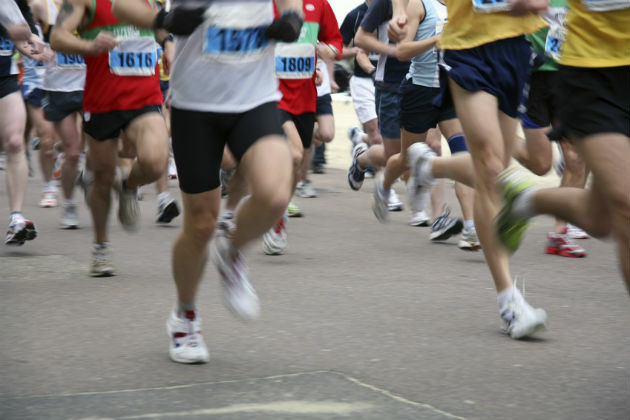 Runners will often develop a relative anemia with hematocrits under 42 percent. The hematocrit is a number that tells us what percentage of your blood is the oxygen-carrying red blood cells. If you had a hundred ounces of blood in your body and your hematocrit was 42 percent, it would indicate that you have 42 ounces of red blood cells and 58 ounces of a combination of white blood cells, blood (plasma) proteins and water. The vast majority of your body's oxygen is transported in your red blood cells by being chemically bound to hemoglobin (a small amount is dissolved in the liquid part of the blood). When you increase your hematocrit with a drug like EPO, by blood loading or by living at altitude, it also tends to increase your total blood volume. You end up with more circulating blood in your body with a higher percentage of oxygen-carrying red blood cells. If you had a runner's low hematocrit of 40 percent and increased your hematocrit by 10 percent, that would still keep you within the average range for hematocrits — only bringing you to 44 percent. But you would theoretically increase your oxygen-transporting capacity by 10 percent. An athlete wouldn't necessarily gain this entire amount because there are other limiting factors, but it does have the potential to significantly increase performance. Interestingly, in blood loading studies hematocrits may only increase by a couple of points. With EPO use, you can boost hematocrits by any number you want. This doesn't necessarily mean that EPO use will increase your performance more than blood loading, but it is possible. Performance studies have largely been done with blood loading. Human studies committees are uncomfortable with the amount of hematocrit increase that the competitive athlete will risk, so we don't even know what the potential performance increase is with aggressive EPO use. It could increase performance by 10 percent. There are also some advantages when going to altitude. Blood loading will not keep you from getting altitude sickness, but if you do not get altitude sickness or once you have acclimated, it can help transport the less available oxygen to your working muscles. There are some other important functions of hemoglobin. It helps transport carbon dioxide back from the muscles to the lungs where it is exhaled into the air. It is also important in buffering acid production in the body. What does this mean and why is it important? The body is designed to live and function best at a certain acid-base balance, or pH, of 7.4. When the body gets out of acid-base balance nothing works as well — including the muscles. Exercising produces lactic acid in the body. Lactate is an important fuel for the muscles and is a normal substance in the body. It is only a problem when you exceed your anaerobic or lactate threshold, and it starts to accumulate rapidly. This occurs when you are running so fast that you can't get enough oxygen to produce all your energy. You borrow energy by "going anaerobic" and producing lactate. Carbon dioxide also forms carbonic acid as it is produced and dissolved in the blood. Hemoglobin helps buffer or lessen the change in the body's acid-base balance that this carbonic and lactic acid produces. Two different people can produce the same amount of lactic acid during exercise, but the one with more red blood cells and more hemoglobin handles it better — doesn't "rig" or tie up as easily or as soon. In an aerobic event like the marathon, with the good marathoners running at their anaerobic thresholds, a higher hematocrit would allow them to throw in tougher surges because they would tolerate more lactic acid buildup. In a more anaerobic event like the 400, the buffering could keep you from tying up in the last straightway. Increasing your hematocrit and total blood volume has some advantages (and dangers) for hot weather races. When you exercise in hot weather, your body demands more blood flow to your skin for cooling purposes. This takes away from the blood that is available for transporting oxygen to your exercising muscles. Increasing your blood supply gives you more blood to "go around." If you increase your blood volume, you also increase the total amount of water that you carry in your blood vessels. This may allow you to have some increased reserves against dehydration. Studies have clearly shown that blood loading increases heat tolerance. If you heat train, you also increase your total blood volume, and this may help your performances in cold weather as well as hot weather. This gives you some of the advantages of blood loading, though with heat training you don't increase your hematocrit. What are the dangers of EPO and blood loading? When you add more solid matter to a solution, it thickens. Blood has to circulate through some small blood vessels in the body. Capillaries are the smallest vessels, but there are some fairly small arteries that go to important parts of the body such as the heart and the brain. There are numerous factors that can encourage the blood to clot within the body or that can act to impair circulation. The primary cause of death in most Western countries is blood clots — the ones that cause heart attacks and the ones that cause strokes. When blood gets thick enough, it starts to circulate poorly and sludges or tends to thicken severely, especially in the smaller vessels. Your blood wouldn't be thick even if you boosted your hematocrit from 40 to 48 percent. However, if you boosted your hematocrit and then became dehydrated, you could be in trouble. Losing enough water from the blood to raise your hematocrit into the mid-50s can cause thickening to occur, and you can face a significant health risk. EPO is rumored to have caused more than two dozen deaths. The largest group of deaths that was attributed to EPO occurred in five Dutch cyclists in 1987, the year that EPO was introduced in Europe. EPO use could kill by producing high hematocrits coupled with exercise-induced dehydration — enough sludging to cause a shortage of blood to part of the heart, and then a fatal cardiac arrhythmia (an irregular heartbeat such as ventricular fibrillation) or heart attack. Stroke is another potential cause of death. Most strokes are also caused by blood clots. An athlete also could have digestive system problems. The stomach and especially the intestines have significantly decreased blood flow during intense exercise, even in your average athlete. This accounts for some of the bowel symptoms that runners often get. The blood vessels nourishing the intestines are also a site that can develop blood clots in older individuals. There are several cases of Iron Man distance triathletes with significant internal bleeding and even bowel surgery after races. EPO or blood loading would increase that risk. Blood loading has a slightly different risk profile. Because the amount of additional blood that someone receives can be measured exactly, there is not as much danger in overshooting and sludging or clotting. In one of the blood-loading studies that gave participants two units of their own blood, hematocrits only went up by 2 or 3 percentage points (but 5K times dropped by 30 seconds in trained runners). However, there is a minor risk of human error resulting in your receiving someone else's blood or even your own blood being contaminated. And, of course, there are potential complications associated with IV's and the fluid given along with the blood. These days, most blood boosting is done with EPO because it's much less complicated. It's given by a simple injection two to three times per week just like a diabetic takes insulin. How are blood loading and EPO handled by the athletic groups that monitor drug use? It is difficult to test for EPO and blood loading, even with a blood test. Most sports-related testing consists of urine testing. Urine testing for EPO use was first developed in 1999, but was not done in the Tour de France that year (though urine samples from 1999 were saved and subsequently tested — theoretically anonymously). Another approach taken by some of the cycling federations has been to check hematocrits before the race and forbid anyone from starting who has a hematocrit over 50 percent. The rationale is that someone with a higher hematocrit, even if for genetic reasons, would be at some greater risk of sudden death. The underlying thought might be that this number is so uncommonly high that it would only catch blood loaders and EPO users. Some of the competitors contend that they do, in fact, naturally run hematocrits that high and that they are unjustly punished for one component of their talent. Such issues that are, in truth, completely valid make this a difficult area to regulate. My favorite quote about this entire subject comes from Jonathon Vaughters, an American who raced in Europe for three seasons. "With the levels set at 50, that means that some riders can still use it and get a little benefit, but it isn't like it was before when there were guys up in the 59s," Vaughters said in 1997. "When you use it like that, it's like turning a four-cylinder engine into an eight-cylinder engine." What is the bottom line on EPO and blood loading from the perspective of a sports medicine and emergency medicine physician? This is an effective performance-enhancing method that may have effectiveness over a wide range of distances and durations — in running from a quarter-mile to an ultramarathon. It is also effective in many other sports. With close monitoring and conservative usage, it is fairly safe, but a mistake can kill you. Even if you don't make a mistake, you might be an individual who responds more easily to the drug. Or you might be one of those people who clot more easily by an accident of metabolism. As a practicing physician in this country, you would be crazy to prescribe EPO to an athlete to improve performance. If your patient had sudden death or any other major problem, you would stand a good chance of being sued for malpractice. However, the situation is different in some other countries. In these countries, the incidence of malpractice suits is much less than ours. Also, the individual athlete may be allowed to make his or her own personal decision and then is expected to face any adverse consequences without resulting to litigation. What are the training lessons from this information for the competitive athlete who does not blood load or take EPO? The first is living at altitude and perhaps training at altitude. The lower amount of oxygen available at altitude stimulates your body to make additional red blood cells. This will not raise your hematocrit and blood volume like EPO and blood loading, but it can be helpful. The mainstream sports medicine consensus seems to be "sleep high and train low." The rationale is that sleeping at altitude will give you your higher blood count, but that you will only be able to do the necessary quality in your training at altitudes closer to sea level. In other words, you can't run your repeat halves at the pace you need for a time goal in a race. My feeling is that this is not true for the vast majority of competitive endurance athletes, and that most would benefit from altitude training. You have to work your heart and lungs and willpower harder at altitude than at sea level to run the same pace. And despite the intensity of the effort, you're putting less biomechanical stress on the muscles and decreasing the potential for injury. Heat training is another technique that allows the athlete to reap some of the benefits of blood loading or EPO use. When an athlete heat trains by purposefully overdressing or by seeking a hot training environment, he or she will tend to alternately dehydrate and then rehydrate. There is a normal tendency for athletes to fail to rehydrate rapidly after their training. And most athletes will fall behind on their fluid intake during warm weather training. The body reads this dehydration as a shortage of circulating blood volume in the body and as a water shortage in the blood. Its response to this is to make more plasma proteins, and these plasma proteins draw water into the blood vessels. You get more plasma increase than red blood cell mass intake with heat training, but this will still help your performance. The third lesson to learn from this information is that there may be a training advantage to be gained by donating blood without blood loading later. Why is this? Since blood supply is one determinant of athletic performance, exercising while anemic puts additional stress on the body. Compensatory adaptations in other systems (lungs, muscle cellular level and capillary formation) persist after the body has made new blood to replace the donated blood. A ball park figure for this would be 3-4 weeks. Then, for a week or two, the body would "believe" it was blood loaded. To my knowledge this has not been proven, but there are anecdotal reports from participants in blood loading studies. I would recommend donating blood at the local blood bank four weeks before the event you were pointing for, and make sure that you eat properly and take the appropriate blood-building supplements during this recovery period. You would not modify your training except to anticipate slower times for your timed runs and intervals. The main caution is for women runners to ensure that they are not already borderline anemic or iron deficient. The best way to check for iron deficiency is to measure serum ferritin — the best measure of your body's iron stores. James M. Larson, M.D., FACEP, FAAEM, graduated from New York Medical College in 1977 and has been practicing medicine in hospital and private practice settings for more than 35 years. Larson is a fellow of the American College of Emergency Physicians and a member of the American College of Sports Medicine. From an athletic standpoint, he has been running since 1965 and has run approximately 35 marathons. Larson also participated in the original USTS triathlon races in San Diego and raced up to half-Ironmans.